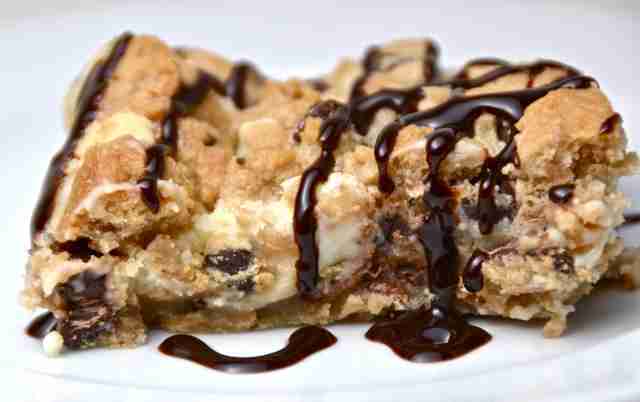 What is cool about Cookie bars is that you can really combine and mix almost anything that suits your taste buds, if your in the mood for a Chocolate Chip cookie bar stuffed with cheesecake this we have the recipe for you. The Cheesecake Stuffed Chocolate Chip Cookie ingredients are listed below. The Cheesecake Stuffed Chocolate Chip Cookie and cooking instructions can be viewed through the link below.